On June 27th, New York State Governor Andrew Cuomo signed Senate Bill S6217A, amending Section 1726 of the Surrogate’s Court Procedure Act. This legislation amends the law in New York State to allow parents to designate a standby guardian to take over the care of their children in the event that the parents are detained, incarcerated, deported or otherwise separated from their children. The Family Center’s Legal Wellness Institute developed this legislation in conjunction with NYLAG, attorneys at Greenberg Traurig, LLP and advocates from around the state. Our attorneys and their colleagues worked very hard to get this legislation passed for children, for families and particularly for immigrant families at risk of separation. 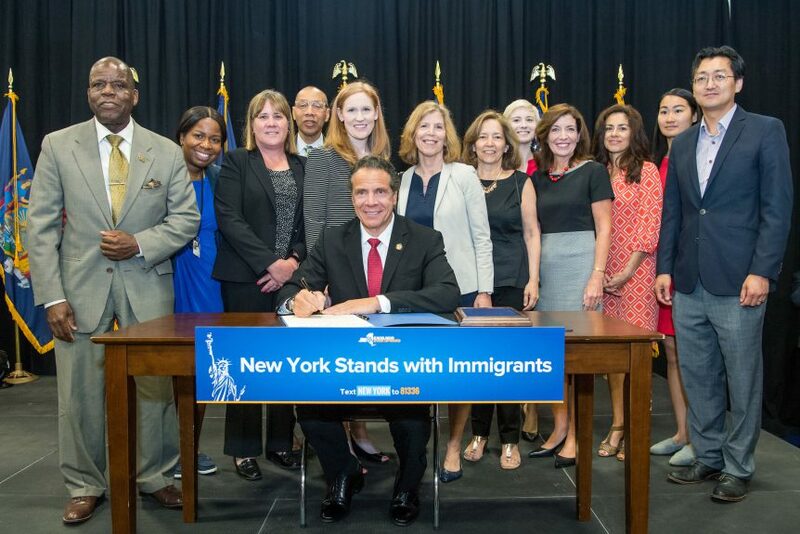 Everyone at The Family Center is grateful to Governor Cuomo and the NYS Legislature for the passage of this bill and their commitment to keeping children and families together! Click here to download our FAQ on this new legislation.